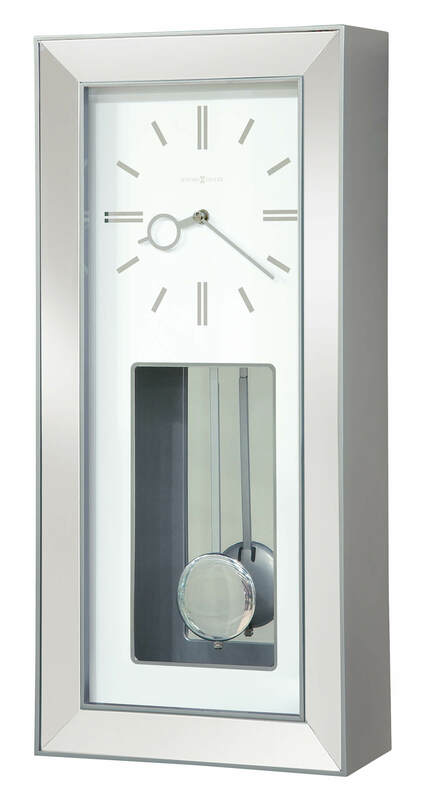 This wall clock is finished in Satin Silver on select hardwoods and veneers, and features insert mirror panels accenting the fixed front frame. White dial with polished chrome bar hour markers, hands, and a cut-out that reveals a polished chrome-finished pendulum bob. You will save $93.30 (30 %) on this Howard Miller Chaz 625-614.